Looking for another easy math idea for kids? 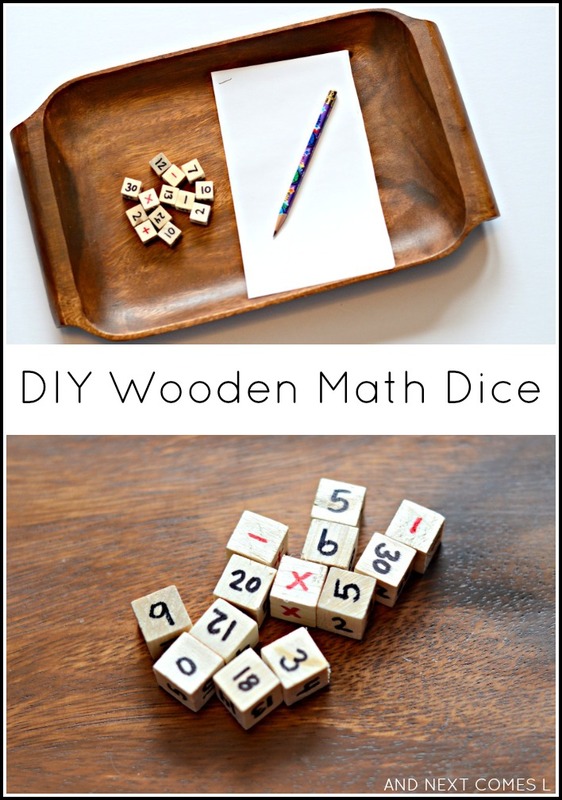 Well, these DIY wooden math dice are a great way for kids to practice their math facts and obviously, my number-loving five year old loves them (see hypernumeracy). I really like that these math dice are simple to make and can be tailored to fit your own child's abilities. I'm also really excited that I get to share this easy activity on one of my all-time favorite kid blogs, The Imagination Tree. So pop on over and check it out!